Music is a part of our life and helps us to disconnect from the outside world. Whether we drive to work or take the bus, we love to relax by listening to our favorite music. If you own an Android device, you’re in luck, because there are a lot of music applications that you can use on this operating system. n7Player comes with a cool interface which allows you to navigate in different ways. 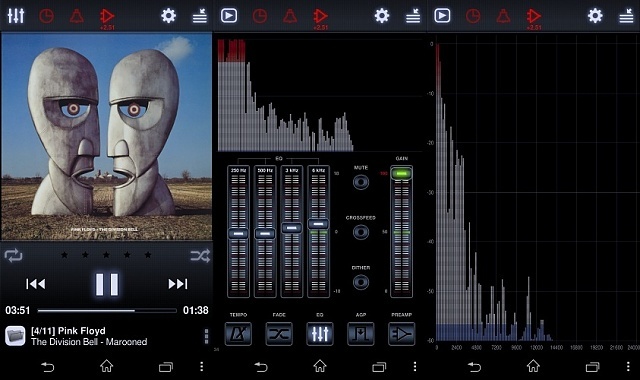 The application features a 10 band equalizer, folders, 3d sound effects, playlist manager, tag editor, folders and many more. 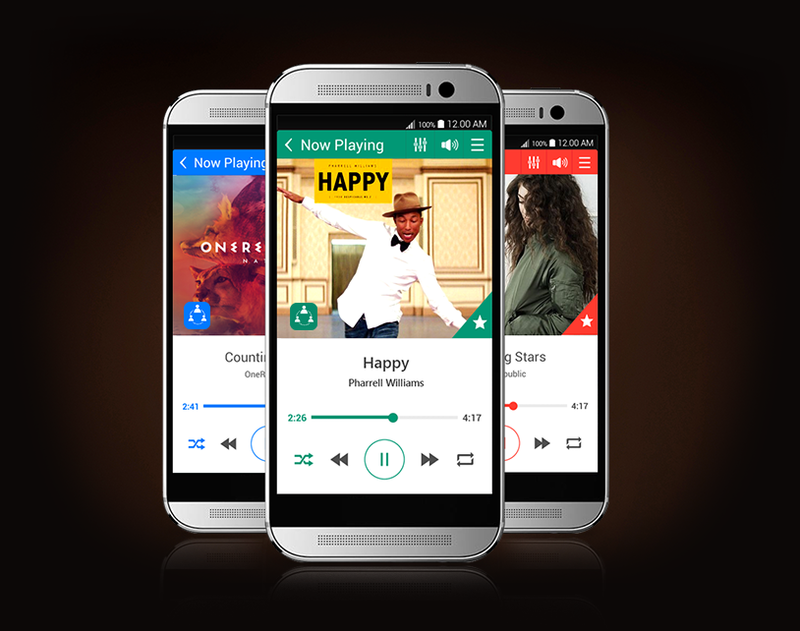 The application supports most music formats and can be customized the way you want. n7Player Music Player comes both as a free and as a paid version, where the free version allows you to use premium features for only 10 days and after that, it locks them. In case you still want to use the premium features, they are available at extra cost. 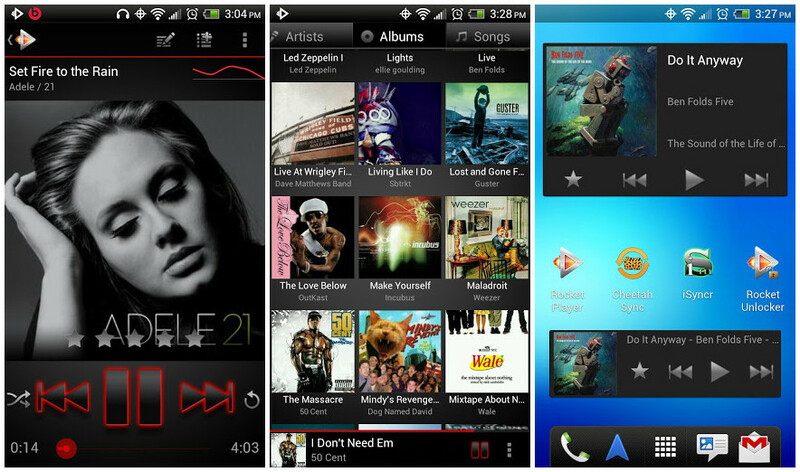 Rocket Music Player is a very popular music player on Android because it features some awesome codec support along with great features. The application also comes with some unique features such as: integration with iSyncr (allowing you to sync with iTunes tracks), Chromecast support, tag editor, custom lockscreen and more. Rocket Player is free, but there is also a premium version (paid) which comes with even more features. PlayerPro Music Player has been out on the market for quite a while and it still remains one of the most used applications out there. Along with playing music files, the application can also play video files, so if you are looking for a “2in1” application, PlayerPro is the one that you need. The application features a good amount of codecs and includes features such as tag editing, skin support, mixable audio effects, gestures and many more. PlayerPro comes as a free trial version, but after the trial ends, you will need to pay around 3 dollars. DoubleTwist Music Player is a player that has the ability to sync with iTunes and has podcast managing abilities. The application comes with an easy interface and it has 4.3 stars (out of 5) on the Google Play Store. The application is free, but in order to unlock the Magic Radio or any other premium features, you will need to pay. 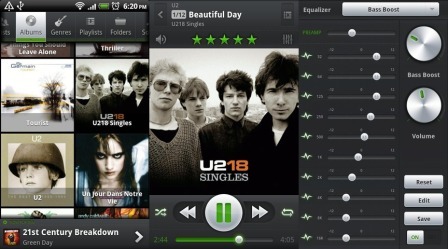 FlipBeats is a music player that relies on gestures for navigation. It comes with a nice interface and offers a professional sound experience. FlipBeats Music Player comes with features such as Pro EQ, bass boost, graphic equalizer, lyrics support and more. FlipBeats Music Player is a free application and can be downloaded from the Google Play Store. Equalizer comes with a 5 band equalizer along with 10 equalizer presets, allowing you to set your own preference in order to hear your favorite music exactly the way you want. The application also comes with other features such as: search, sound rendering, media bass volume control, background player mode and many more. The interface is simple and you will get used to it after the first song is played. 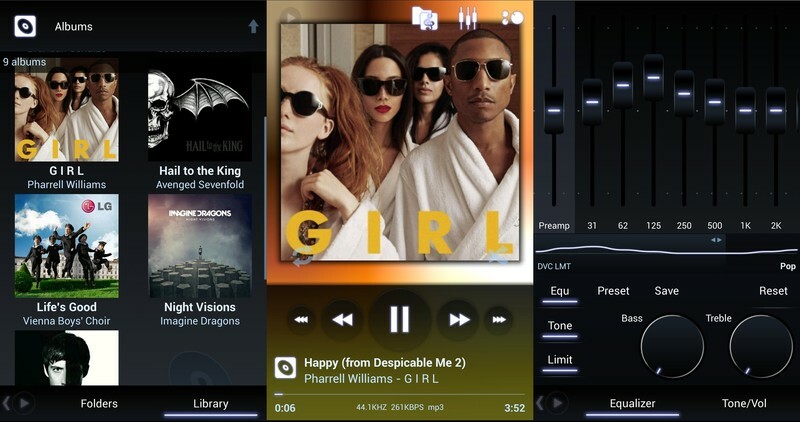 The Poweramp Music Player comes with a lot of features, along with a nice interface. The application comes with a stereo expansion, 10 band optimized graphical equalizer, dynamic cue, crossfade and a lot of themes that you can use to customize the player the way you want. The application comes with a 15 days free trial, which allows you to try out all the features and after that, you can decide if you want to buy the application or not. 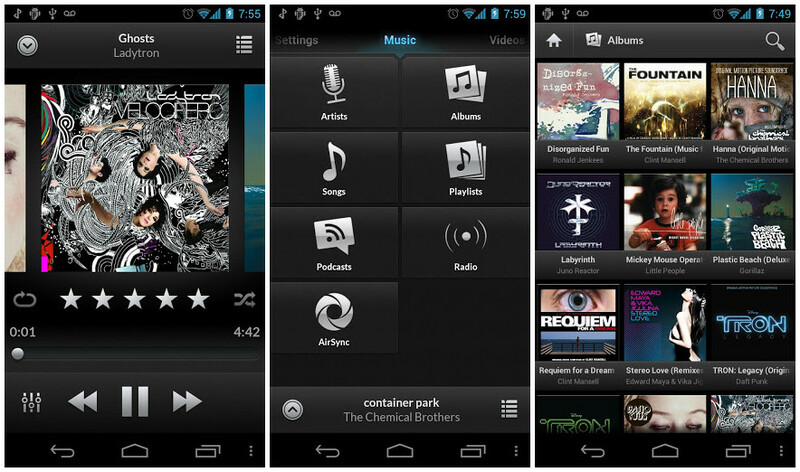 Neutron Music Player is a high rated music player from the Google Play Store. The application is offering 32/64bit sound rendering along with audio processing and decoding. The application supports many music formats, including the usual audio formats, voice audio format and module music formats. 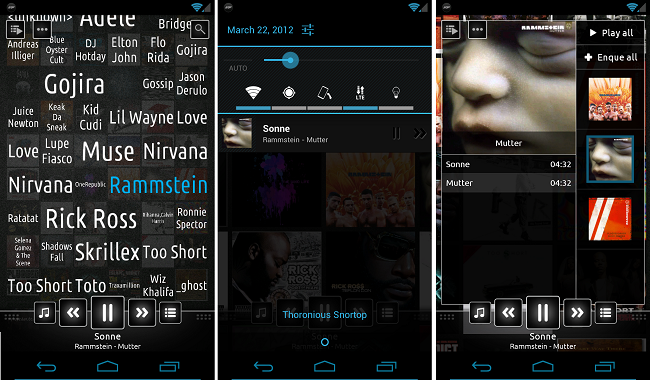 The Neutron Music Player is a paid application from the Google Play Store, but in our opinion, it is worth the money. However, we think that the developers will need to update the UI in order to meet the modern Android 5.0 Lollipop UI. 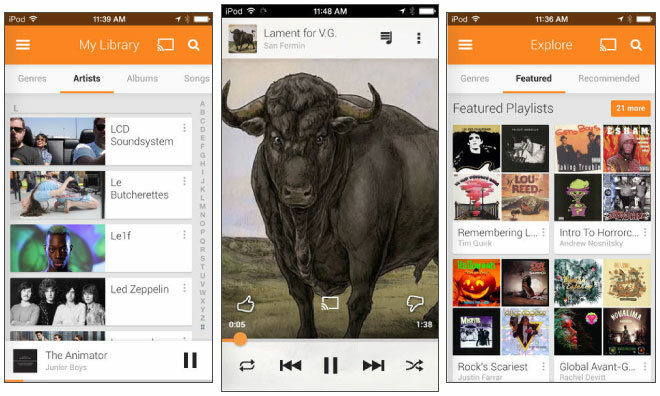 Google Play Music is a free player offered by Google. Since it is an application developed by Google, you can expect it to run smoothly and without any problems. You will be able to move your favorite songs to the cloud and, after that, to listen to them via the Google Play Music without any problems. 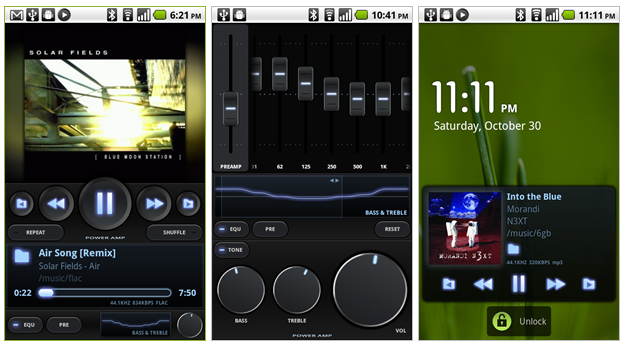 The application also features custom radio and many other features. The first thing that you will notice on Shuttle Music Player is the interface which is very simple. The application not lacking in performance which you will notice as soon as you start listening to music. The application also supports themes, lyrics, sleep timer and many more. 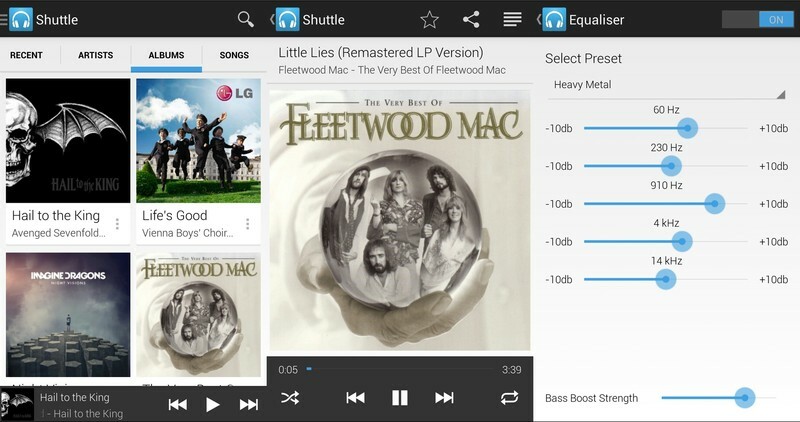 It’s good to know that Shuttle Music Player also comes with a paid version of the application called Shuttle+, which has more features such as folder browsing and tag editing and it can be bought at a price of 0.99 dollars. No matter your taste in music, there is an app out there to suit you.